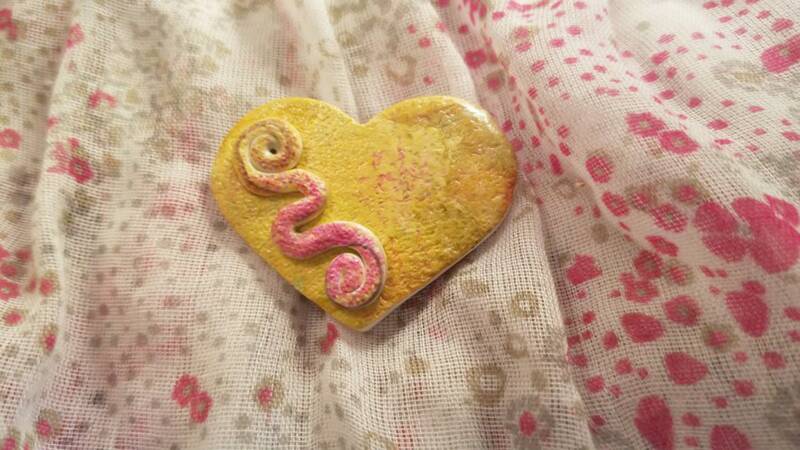 Express your individuality with a one-of-a-kind heart pin/brooch! Colors include yellow, gold, tan and bright pink. A heart-shaped background has a swirl accent adhered to the top.